NEW YEAR + NEW CHALLENGE = NEW YOU! Take the Tempo Pilates Challenge in January… For Free! Is one of your New Year resolutions going to be to Get Fit? Here is a chance to take control of your fitness in 2013 for FREE! What better incentive to get a stronger, more flexible and toned body in the New Year do you need? Take the Tempo Pilates New Year, New You Challenge!! We believe in the words of Joseph Pilates, and want to show you that it is possible to start feeling the difference in just a few reformer Pilates classes with us. As an extra benefit, we will be including nutritional advice from fully qualified nutritionist, Jane Grogan. We are looking for a dedicated, witty and articulate volunteer, to follow a nutritionist’s diet & participate in 10 Tempo Pilates over 3 consecutive weeks (or one may be taken in a fourth week) at our London E8 studio, in Hackney, whilst blogging about the experience. You must be prepared to write a total of 5 short blogs, an initial blog to introduce you, and your fitness goals and then one blog a week for 3 weeks, plus a “end of Challenge blog”. Each blog should be a minimum of 300 words. The blog should include how you found each session at London E8, how you feel you have progressed in our reformer Pilates classes and how you feel in yourself and your body. We will be measuring your success as well, to help you see how you have progressed! Entries close on Thu 20th of December 2012. Whipping them out, RiRi’s album ‘Unapologetic ‘ which has just debuted at number 1 in America see us work out on the Pilates Reformer with stomping 80’s backbeats from 1st single Diamonds (co written by Sia) this month. Meanwhile….in case you missed it….Chris Brown is back. We lOVE Phantogram at Tempo Pilates! They record their ‘Street beat, psych pop’ in a barn at the back of vocalist/guitarist’s Josh Carter’s parents house. The band was supposed to be playing Hoxton, London on 19th of Nov but a broken arm led to its cancellation. Keep an eye on their website for further announcements. In the meantime, check out their recent collaboration with rapper Big Boi on Soundcloud! Perfect for dramatic Tempo Pilates Reformer class! Being a famous music video director (Katy Perry, Mystery Jets, Rihanna) & talented musician all at the same time is pretty much a deal clincher wouldn’t you say! Going by the looks of his blockbuster, slow mo skills in this video, I am highly anticipating his stage set for performance. You can buy tickets at the Roundhouse for May 13th 2013We’ve chosen it for 100’s cause that’s how we roll! Join us for a fun class to great tunes at either our London E8 or WC2 studio. 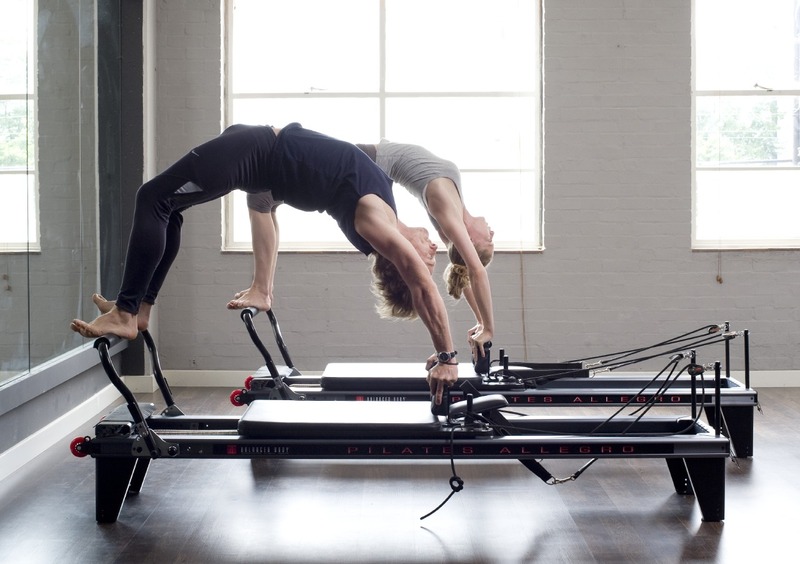 Reformer Pilates classes in London Hackney E8, Covent Garden WC2 and Shoreditch E1. Positive thinking is an attitude that anticipates happiness, health and successful results.